The Scuba Doctor can arrange bespoke SDI and PADI recreational and technical diver training courses for your here in Melbourne and on the Mornington Peninsula in Victoria. Everything from beginner Open Water to Advanced Technical Tri-mix diver. 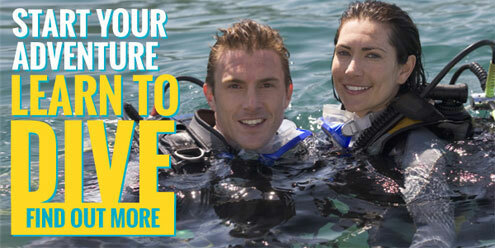 All our dive training is Personalised Private training focussed on you! All of the diver training courses we arrange are guaranteed to exceed the requirements of the training certification organisation the training is being conducted under, plus Australian Standards. Prepare to get hooked on scuba diving the moment you slip below the water's surface into the peaceful silence of the undersea world. You'll finally understand what Jacques Cousteau was raving about all those years as you explore the ocean world. Fortunately, 70 percent of the world is covered in water, so there's never a shortage of great dive sites to feed your submarine cravings. If you want to keep diving and learn new skills then The Scuba Doctor has recreational dive instruction with a difference! All Private Instruction so you can get personal attention and learn at your own pace. Please Contact Us for details and entry requirements for these programmes. Full range of Diving Programmes — Recreational, Cave, Technical, Sidemount, Rebreather, Occupational Training (Scientific Diver, Surface Supplied Air etc) offered from PADI, DSAT Tec Rec and IANTD. Our bespoke, personalised private diver training courses in Melbourne are tailored to fit your needs, not our needs. Most other dive shops run their dive courses to a schedule. When they get the numbers to run the training course, it happens. And... the course just runs at the time that best suits them. The result of this approach is that you can end up in a large class with lot's of other people learning to dive from all sorts of ages and backgrounds. That's great if you don't need any special attention, but not so good if you do. Or you end up having to move around your work and personal commitments to suit the schedule of the diver training centre. We prefer to run individual exclusive dive courses, or have you in a dive class that's just you, a partner, and/or a friend or two. That way you get personal attention and we fit in with your schedule and accommodate your special needs. Many other dive centres run their dive courses so as to comply with the bare minimums required by the training certification organisations. Thus the training they deliver often fails to meet Australian Standards. They do it to keep the costs down so as to attract more potential divers. We prefer to exceed these requirements. We want you to finish every course comfortable that you are more than capable of going out and doing the diving you trained to do. This basically sums up The Scuba Doctor's training philosophy. The emphasis is not placed on issuing certification cards. The instructors assigned to you by The Scuba Doctor will work with you until you process the knowledge, confidence and skills required at each level. The result is first class, quality training tailored to your needs. I don't know the meaning of fear because I'm not very bright.